Borage acts as an adrenal tonic for nervous exhaustion, depression, and fatigue, used to regulate the metabolism and the hormonal system. It is especially effective in treating nervous exhaustion in menopausal women and after childbirth. 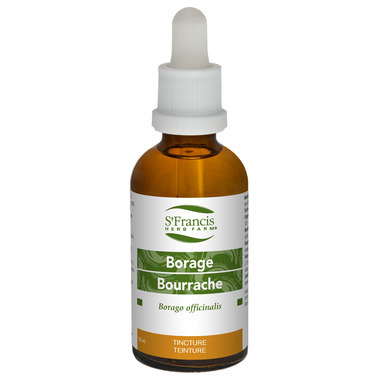 Borage is also used to stimulate milk secretion in nursing mothers. Suggested Usage: Adults: Take 0.07-0.1 ml (2-3 drops) 3x daily in a little water on an empty stomach.